Lovington, NM – Lovington MainStreet would like to announce that Tabatha Lawson has officially resigned as the Executive Director, where she has worked diligently for the past four and a half years. Kallie Windsor, President of Lovington MainStreet said “For the last 4 years, Lovington MainStreet has been greatly blessed to have Tabatha Lawson as the Executive Director. We truly believe she is the best at what she does. We will miss her greatly. She has left big shoes to fill.” During Tabatha’s time as the director of Lovington MainStreet, she was responsible for the Accreditation as a National MainStreet program in 2014, 2015, 2016, and 2017. 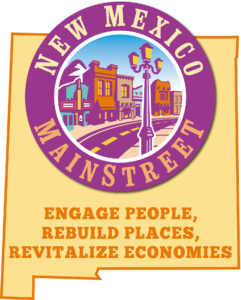 Through her guidance and dedication, Lovington MainStreet received the New Mexico MainStreet Award for Outstanding Business Development in 2015. “She was a warrior for the Downtown and she got so much done there. It is truly better because of her,” said Geni Cavanaugh, director of Southwest Symphony. A few of Lawson’s most notable accomplishments were Façade Squad Projects, the implementation of Downtown Farmers’ and Crafters’ Market, spearheading the downtown brew pub project, and the restoration and operation of the Historic Lea Theatre. The Lovington MainStreet board has hired Mara Salcido-Alcantar to continue Lawson’s legacy. Mara worked for Lovington MainStreet as administrative assistant from 2014-2016. Salcido-Alcantar will officially take over as Executive Director March 20. “I look forward to continuing the amazing work being done, and am honored to have been selected for this position. I have learned a lot from Tabatha, and hope to make her and the Lovington MainStreet Board proud,” said Mara on being named the new ED. “While we are saddened by her departure, we are happy for her and her new opportunities that lie ahead of her. She has done a fantastic job, but we are confident that Mara will take off right where she left off,” said Pat Wise, long-time board member and avid supporter of Lovington MainStreet.